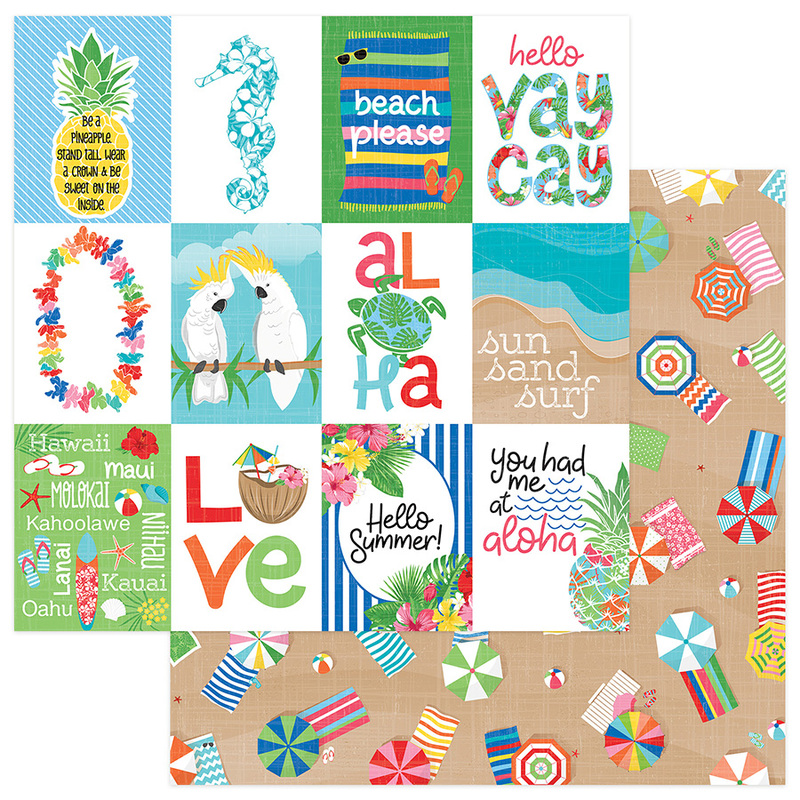 This 12x12 double sided paper has 3" x 4" Journaling Cards on the frontside while the reverse side has Beach Chairs & Umbrellas on a Sandy Beach. Perfect for any Project - Scrapbooking, Cardmaking, Party Favors, etc where your Theme or Memory is Tropical. Part of the Aloha Collection by PhotoPlay Paper. Look for coordinating Etched Dies, PhotoPolymer Stamps, Ephemera Die Cuts, 12x12 Sticker Sheet & Designer Papers.